Almost all of us have them: a first set of playmates apart from our siblings. All things considered, they may as well be our brothers and sisters. Growing up is usually not without them: cousins. I can say quite confidently that I am closer to my cousins than some other people might be--particularly with my mother side cousins. Because my mom and her siblings were very close to each other, we always found reasons to get together and have fun. My family (cousins and all) at a trip to Tagaytay Highlands around 11-12 years ago. (we aren't complete here). Can you see where I am? Without getting too mushy, I feel very blessed to have a set of almost-siblings that I can also look to as friends. If it's a rarity to be close to your cousins, then it might be almost endangered to hear of cousins that can be looked to as a barkada (group of friends). I say barkada because while most cousins met up and update each other on their lives (this is now that we're grown up), my cousins and I still manage to joke around and make fun of one another. We more or less know the important things that go on in our lives, minus maybe the mundane stuff that we skip over. We bond over the same things and reminisce about times when we were ye young. 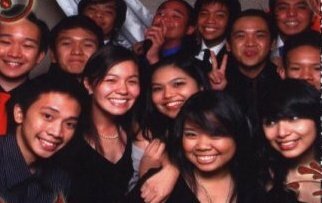 The Loanzon Kids at our cousin's debut! We managed to fit! Growing up, our parents even came up with a Quarterly Get-Together where celebrants of that quarter could expect gifts from other cousins--there were even assignments! These were things we loved because we looked forward to seeing everyone all the time! So from Get-Togethers, birthdays to debuts, we always enjoyed ourselves--despite a small age gap with our older cousins. And so from Flower Girls to Coin/Ring Bearers we became Groomsmen and Bridesmaids (for one of our cousins, he became the groom himself)! 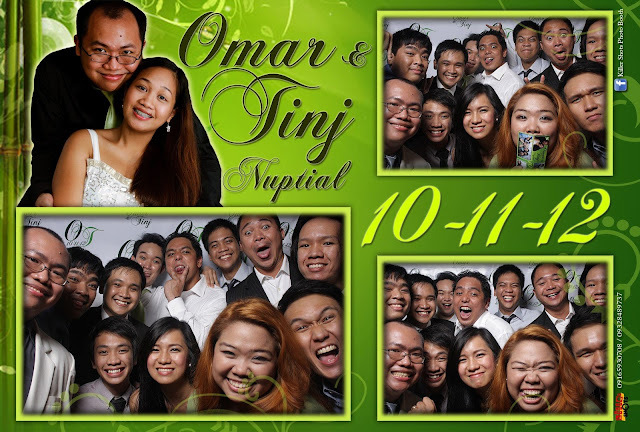 We're incomplete here but, man, we're a wacky bunch! Hey-hey! We still fit in the photobooth! Check out the photo at the bottom-right! We're all singkit (chinky-eyed)! There's no denying our relations! Amongst ourselves, we have cousin-to-cousin secrets that we probably even have yet to tell other people in our lives that might seem more important. But one public not-so-secret knowledge is that I love them so much! There are only a few, really important, things that continue to leave me hesitating about the change at home--they are all definitely one of them.